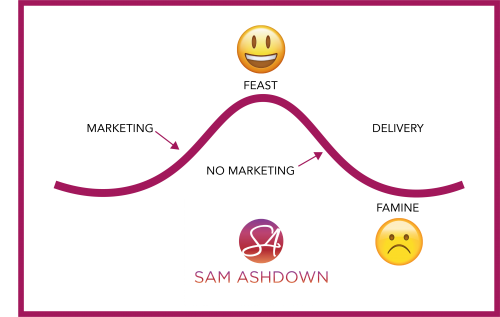 Do you suffer from the ‘feast and famine’ cycle? This is how it goes: you have a big marketing push; lots of time, effort and money, and it works: you get in the door of lots of lovely houses. You get some great instructions, and meanwhile you stop marketing while you take those houses on. Once the flurry of activity has come to an end and you have time to catch your breath, you realise you have no more valuations in the diary. Is this you? If so, you’re not alone. It’s a really common problem, especially amongst independent estate agents with a small team, and no corporate marketing department to back them up. This leads to a lack of marketing momentum. Which in turn, leads to a lack of consistent leads and valuations. What’s the solution to the Feast and Famine Cycle? It’s simple, but not easy. You need a system. A marketing system that will create a marketing momentum, so your marketing happens no matter what you personally are doing. The success or failure of your marketing is not based on the extent of your creativity. It’s based on your ability to implement a plan, pure and simple. But first, let’s look at what marketing you’re actually doing, and see if it’s line with what works for independent estate agents. 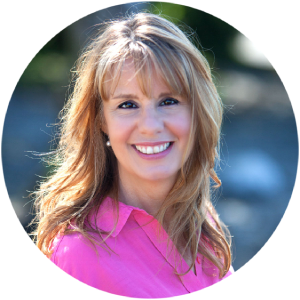 Here’s your opportunity to get your marketing priorities straightened out. Most independent agents I speak to tell me that they have no idea what activities to spend their time on, and end up spending way too much time on the wrong things; in other words, those things that are not going to make the boat go faster. You’ll see at the bottom of the pyramid, the foundational four ‘Profit Pillars’ are: Content, Community Building, Facebook and Direct Mail. These are your most important marketing tasks. Without these, your other marketing activities will have to work so much harder – and so will you. The next elements – Email Marketing, Facebook Adverts, Online Valuation Form and LinkedIn – are obviously very important, but not if you haven’t got those four foundational pillars nailed. The top activities – Events, PR, Instagram and Twitter – are all valid marketing activities, but none of these is as important as those four Profit Pillars that form the super-strong foundation to your marketing, and therefore to your business growth. 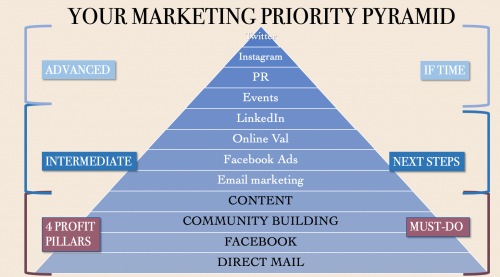 These are where you need to spend the vast majority of your marketing time, effort and money, then once you have those consistently working for you, you can move higher up the pyramid. It’s really important not to spread your focus, funds or your energy too thin, especially if these resources are all in short supply to start with. Now you know your marketing priorities, let’s dive into planning. What does a marketing plan look like? As you can see, by adding a specific task and assigning that task to an individual with an expected delivery date, the plan looks much more doable. You’ve taken the task of marketing off the easel of ‘creativity’ and slammed it firmly on the table of ‘implementation’. Getting your marketing priorities right, and creating a marketing plan for implementation, are both crucial elements of business growth, and done right, will help you stay in ‘feast’ and out of the clutches of ‘famine’, now, and forever more. If you don’t already get my Supertips emails, you’re missing out! These little nuggets of wisdom could transform your agency, and your fortunes. Just click here and I’ll make sure you get yours, every week.